As I have discussed before, the Obama Administration has imposed, by executive order, certain rules that apply only to lobbyists registered under the Lobbying Disclosure Act. One of these rules prohibits executive branch officials from meeting with lobbyists regarding specific projects funded by the stimulus bill. The principal author of these policies is apparently Norm Eisen, who serves as the special counsel to the president for ethics and government reform. Mr. Eisen met last week with representatives of three groups which oppose the stimulus lobbying rule, Citizens for Responsibility and Ethics in Washington (CREW), the American Civil Liberties Union (ACLU) and the American League of Lobbyists (ALL). He posted a description of this meeting on the White House blog (hat tip: Paul Blumenthal of the Sunlight Foundation). Unless I am missing something, Eisen appears to be analogizing his willingness to meet with CREW, the ACLU and ALL to the President’s willingness to meet and have dialogue with the leaders of unfriendly regimes like Iran, Venezuela, and Cuba. This seems like a strange analogy to begin with; one would think that the administration has an obligation to listen to American citizens aggrieved by government policy that is quite different from the considerations which govern whether to conduct discussions or negotiations with foreign governments, hostile or otherwise. Leaving that aside, though, the whole point of the executive order on stimulus lobbying is to forbid executive officials from meeting with registered lobbyists to discuss certain subjects. Admittedly, the order doesn’t distinguish between lobbyists who “agree” or “disagree” with the administration, but it is premised on the notion that the very act of meeting with or talking to lobbyists creates either the appearance or the reality of impropriety. It seems odd that an administration so proudly unafraid of meeting with representatives of hostile foreign powers is scared of meeting with a lobbyist for Topeka, Kansas. In an order issued earlier this month, U.S. District Judge David Bury of the U.S. District Court of Arizona rejected some of the key Speech or Debate claims made by former Congressman Rick Renzi. This ruling means that Renzi will almost certainly be unsuccessful, at the district court level, in his attempts to suppress evidence from wiretaps of his cell phone. Renzi has already signaled his intention to appeal this ruling to the Ninth Circuit. The key to Judge Bury’s decision was his view that the Speech or Debate privilege is one of non-use, not non-disclosure. The court disagreed with the D.C. Circuit’s opinion in United States v. Rayburn House Office Building, 497 F.3d 654 (D.C. Cir. 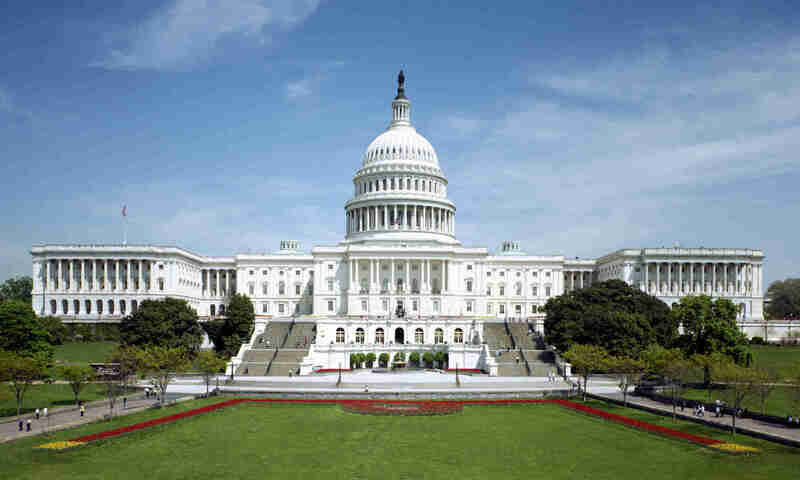 2007), which held that the Justice Department violated the Speech or Debate privilege when it executed a search warrant on a congressional office without first allowing the Congressman an opportunity to protect legislative materials from seizure. Although Bury’s ruling directly applies only one of Renzi’s six pending Speech or Debate motions, his reasoning seems to require rejection of two of the other motions, which are also based on a “non-disclosure” theory (these motions request suppression of evidence obtained by wiretap, search warrant and consensual interview of staff). However, the ruling will not necessarily affect Renzi’s remaining motions, which seek dismissal of the case based on alleged use of privileged information before the grand jury or in the indictment itself. Renzi has asked for reconsideration of the ruling or, in the alternative, that it be held in abeyance until resolution of the other Speech or Debate motions. Renzi suggests that however the Speech or Debate motions are resolved, there is likely to be a pre-trial appeal by either the prosecution or the defense (or both), and argues that all of the Speech or Debate issues should be consolidated into a single appeal in order to conserve judicial resources. In February I wrote to suggest that the DC Voting Rights Act poses a significant challenge to the view expressed by many regarding the need to “de-politicize” the Justice Department and the Office of Legal Counsel in particular. The reason is that this view squarely conflicts with the political imperative of supporting the Act, which is, to put it mildly, of dubious constitutionality. “In deciding that the measure is unconstitutional, lawyers in the department’s Office of Legal Counsel matched a conclusion reached by their Bush administration counterparts nearly two years ago, when a lawyer there testified that a similar bill would not withstand legal attack. Here it should be noted that there is a big difference between asking whether a law is constitutional and asking whether the Solicitor General’s office can defend it. The longstanding position of the Justice Department and the SG’s office is that “[t]he Department appropriately refuses to defend an act of Congress only in the rare case when the statute either infringes on the constitutional power of the Executive or when prior precedent overwhelmingly indicates that the statute is invalid.” Letter of Attorney General William French Smith to the Honorable Strom Thurmond and the Honorable Joseph R. Biden, Jr., 5 O.L.C. 25 (Apr. 6, 1981). Unless the statute infringes on executive power (which is not an issue regarding the DC Voting Rights Act), the “Department has the duty to defend an act of Congress whenever a reasonable argument can be made in its support, even if the Attorney General and the lawyers examining the case conclude that the argument may ultimately be unsuccessful in the courts.” Id. By rejecting OLC’s advice, Holder is clearly signaling that the Obama Administration is no more interested in getting legal opinions inconsistent with its policy preferences than was the Bush Administration. Indeed, his actions compare unfavorably with those of former Attorney General Ashcroft, who famously refused to overrule OLC and other Justice Department lawyers on the issue of warrantless wiretapping, despite intense pressure from the White House to do so. As for those who believed that the Obama Justice Department would base its decisions on “the rule of law” rather than politics, today’s news provides the following clarification: April Fool!